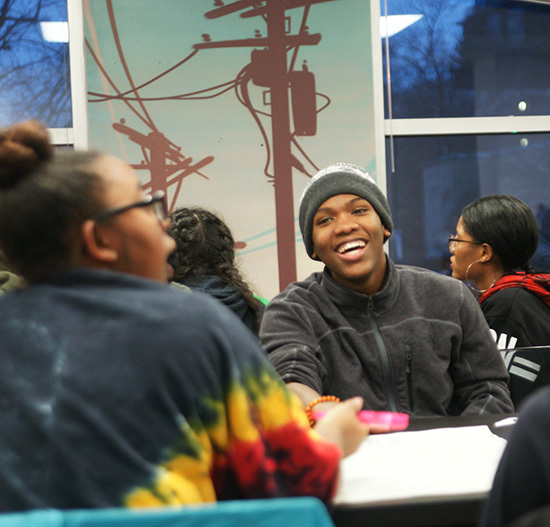 YWP is driven by results and tangible change in the lives of the youth we work with – and a responsibility to expand DC programs and policies to include the many thousands of youth with whom we don’t work. We are committed to assessing needs, designing responsive programs, utilizing evidenced-based models, creating and using best practices, and evaluating our work and impact on a weekly basis. YWP data collection and evaluation systems are organized into five tiers of outcomes: youth development (including peer educator development), youth leadership development, community impact-education and services (school-based health outcomes), and community impact-policy and advocacy. Our data collection and programming is guided by 20 development and impact goals. YWP’s data collection and programming is guided by 20 development and impact goals. Youth Development and Engagement Goals. Understand how to navigate institutions, secure resources, and influence policy and decision making. Create and carry out projects and campaigns that challenge DC policies and institutions that affect youth. Create policies and improve institutions to improve the lives of youth. Develop a city-wide cadre of 100 youth leaders who can develop and lead projects and campaigns, serve on working groups in the areas of child welfare, health, education, and employment. Develop a city-wide cadre of 400 youth educators in all wards, covering 90% of the enrolled youth high school population, who will provide essential health information, support, resources, and referrals. Build a city-wide membership of 1000 youth who will take action to expand rights and opportunities for DC youth. Improve health and wellbeing of DC public school youth ages 4-19 through the development and implementation of the 2016 Health Education Standards. Improve work readiness and job placement of DC youth ages 14-24 so that they can secure work and develop careers by increasing the number of in-school and out-of-school year-round placements (to 2000) and program quality. Develop the capacity to develop and implement model programs that employ youth, develop and pilot curricula, and inform the program approach and outcomes of DOES. Engage youth staff as advocates to improve DOES. Increase support and programming for foster youth (14-21) so that they are able to find jobs, complete high school and college, secure housing, and access system rights. Through the Foster Care Campaign, develop, support, engage 40 foster youth staff each year who will assess government services, conduct research, provide feedback and advocacy. Increase engagement of youth in the electoral process by passing the Youth Voting Act, which lowers the voting age to 16. Build a coalition of national organizations, local youth, parents, and other supporters. Increase the visibility and effectiveness of youth leaders in shaping agency-level and legislative policy and implementation by catalyzing agency-level working groups and engaging youth in the oversight and budget processes.